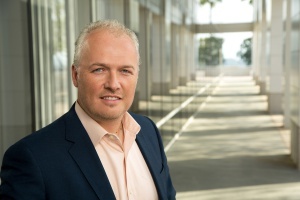 Teradata (NYSE: TDC), the leading data and analytics company, today announced that Oliver Ratzesberger, Executive Vice President and Chief Product Officer, has been appointed Chief Operating Officer, effective immediately. Mr. Ratzesberger will have global operating responsibility for Teradata’s businesses and lead the company’s strategies for go-to-market, products, and services. He will continue to report to Vic Lund, Teradata President and Chief Executive Officer. Since joining the company in 2013, Oliver has led Teradata’s research and development organization and provided strategic direction for all R&D related to Teradata database, Teradata Analytics Platform, big data analytics, and associated solutions. Oliver previously led the software teams for Teradata Labs, including the Teradata® Database, Teradata Aster®, Teradata IntelliCloud™ and IntelliSphere, as well as Hadoop and other open-source integration. Over a distinguished career prior to Teradata, Oliver spearheaded big data analytics initiatives and technology transformation for eBay and several other Fortune 500 companies. Oliver has an extensive background in analytics, big data and software development. Prior to Teradata, he worked for both Fortune 500 and early-stage companies, holding positions of increasing responsibility in software development and IT, including leading the expansion of analytics at eBay. Oliver earned his engineering degree in Electronics and Telecommunications from HTL Steyr in Austria, and is a graduate of Harvard Business School’s Advanced Management Program. He lives in San Diego with his wife and two daughters.